Noosa provides pleasure to all. A north facing surfing beach, pristine river, fine restaurants, sophistication, national parks, plenty of action and you have the perfect holiday retreat. Visitors flock to Noosa from all over the world, many as frequent visitors and some returning to live in this exceptional coastal village. Described in the New York Times in March 2002 as the place “that appreciates nature and the good life”. 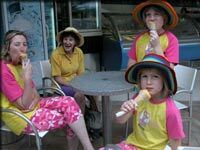 Noosa is the accepted name for a group of villages and enclaves that make up Noosa Shire. 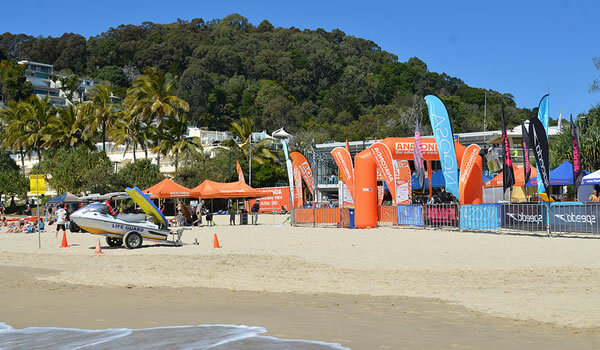 The word Noosa is not the correct description for the area although is used to describe the areas and the name known and used by visitors. Noosa Shire was established in 1910. Tewantin originally a timber town now houses the Council Chambers. A ferry connects Hastings Street with Tewantin reached by a short walk from Noosa Harbour. South of Noosa Heads is the expansive Sunshine Beach area popular with surfers. To the North across the river is Noosa North Shore a forty mile long beach that is navigable by four wheel drive vehicles. Inland the villages of Cooroy, Eumundi, Boreen Point, Pomona and Kin Kin provide a delightful rural change. Noosa Shire has a total population of nearly 50,000 people and plans to a cap its population at 56,600. To read more about the Noosa villages click here. 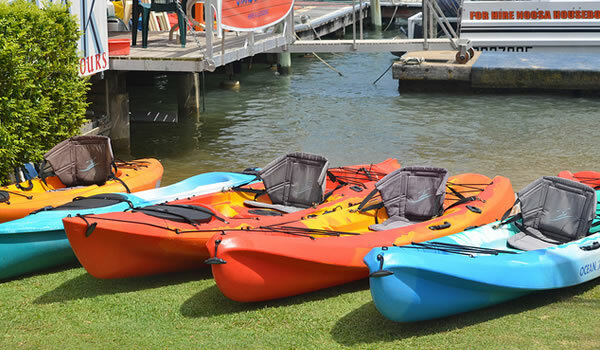 The Noosa River system is very much part of Noosa life. The Noosa River is one of the most pristine in Australia. It stretches south to Lake Weyba and to the North passes through Lake Cooroibah and Lake Cootharaba to the famous Everglade regions. We can divide the river into seven sections. A highly scenic landscape from both land and water. To the east lies the Great Sandy National Park and the high dunes. To the west are little bays and the village of Boreen Point. Lake Cootharaba is a large shallow lake, where sailing. windsurfing, swimming are all popular pastimes. At the end of the lake starts the Everglades with tranquil water and a popular place for visitors. Between the lakes the river flows slowly between forested shores. The edge of the river is marked by the Melaleuca and Casuarina forests. At John's Landing there is a campsite and informal boat launching slip. This is the smaller of the two lakes and has has excellent views of Mount Cooroora and Black Mountain. The natural landscape is broken with clearings and a number of houses. Water skiing is possible in this section. In Tewantin is the Noosa Harbour and the terminus for the Noosa ferry. All along this section the river shores have been developed. The North Shore is mainly private houses and difficult for the public to reach. 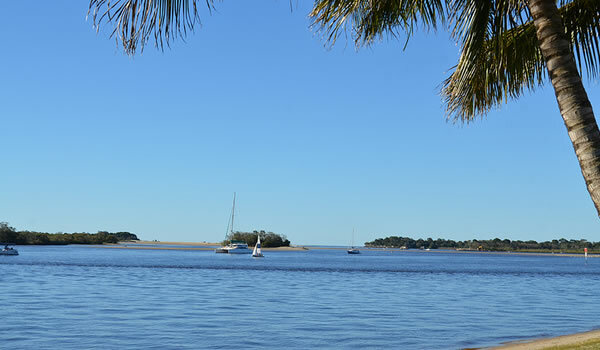 This creates scenic views from the busy Noosaville side of the river. Doonella lake is somewhat isolated from the river by the embankments of the Doonella Bridge. The lake is gradually silting up and very shallow but provides ideal habitats for black swans and other bird life. Lake Weyba is a large shallow lake fringed by natural landscapes. Weyba Creek meanders around and good place to canoe or travel slowly by motorised boat.